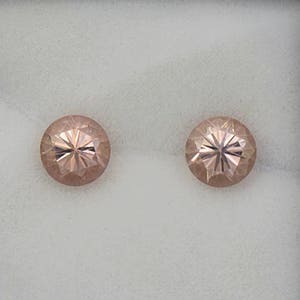 Size: 10.2 x 8.1 mm. 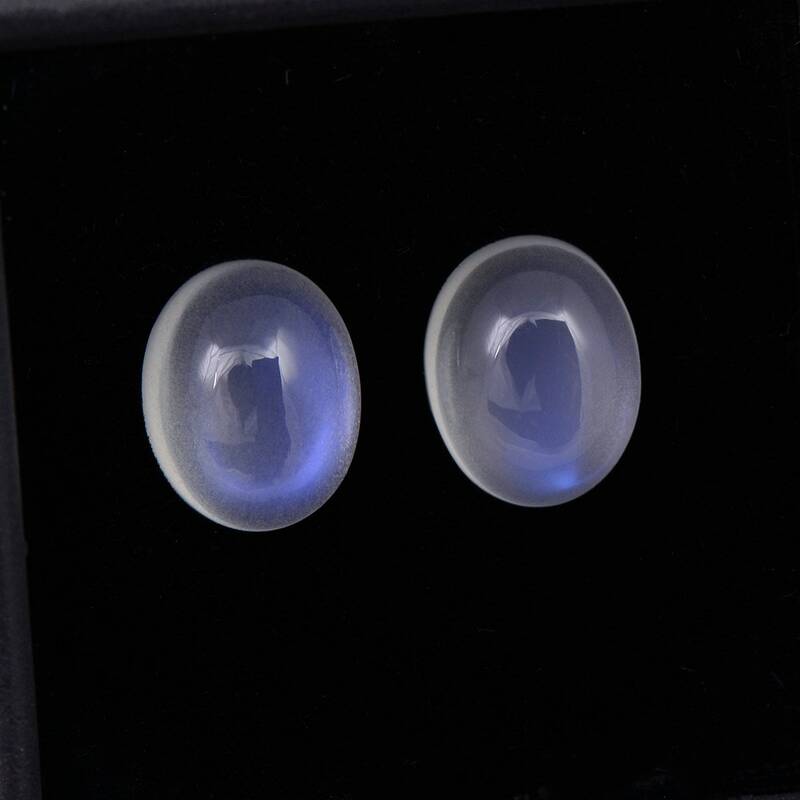 Moonstone comes from many localities, but some of best quality comes from India. 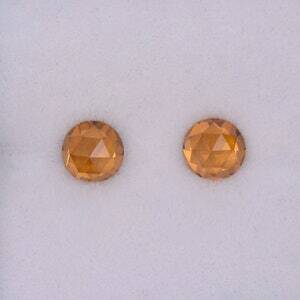 The Orissa material is known for having exceptional clarity and brilliant flash. 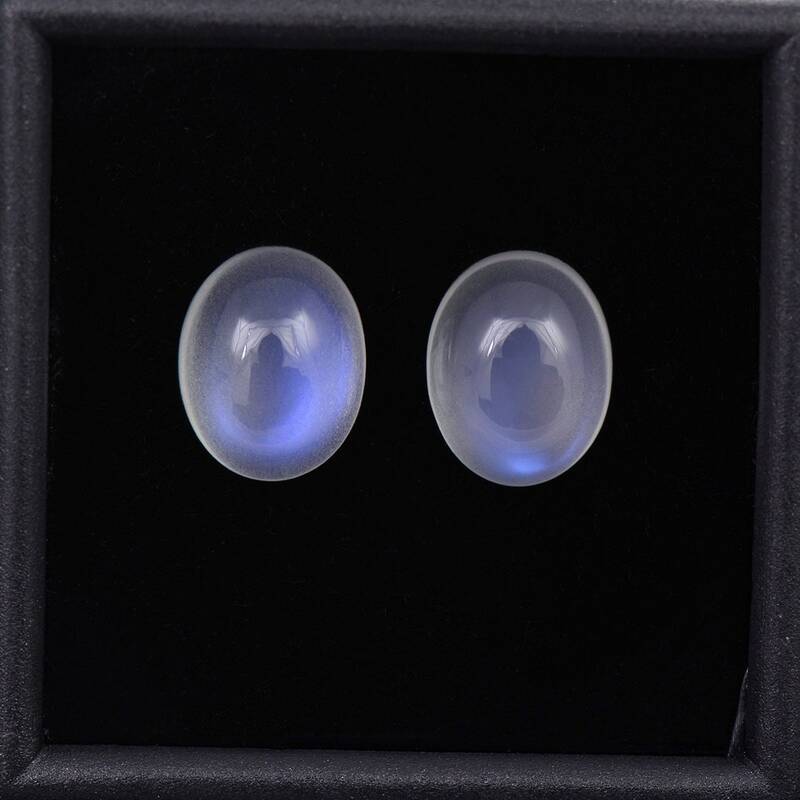 These are excellent quality stones with that classics misty appearance and no vails! 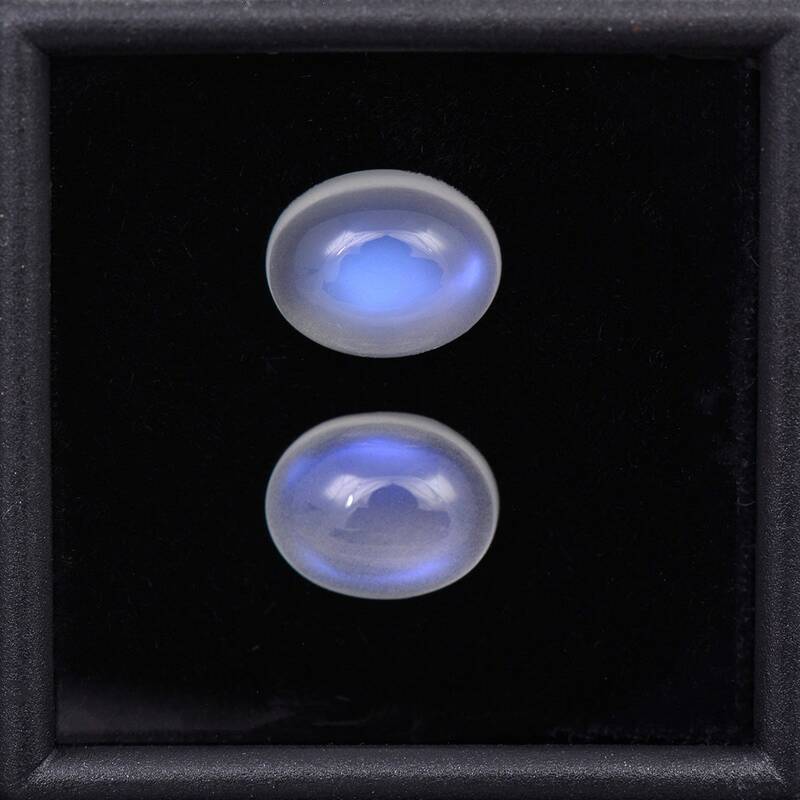 The colorless Moonstone has an opalescent quality that is enchanting, but when it is moved in the light, then you see the bright blue flash. The color flash is oriented beautifully across the crown to shine when moved in the light. There are many kilos of this rough found every year, but an extremely small amount of it is this quality. 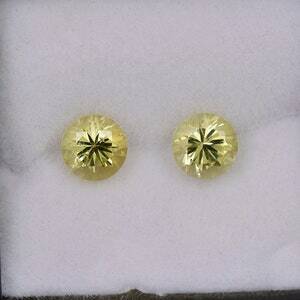 These stones are even more exceptional because they are a match pair. Orienting 2 pieces to have the same size and flash is quite difficult in this material. 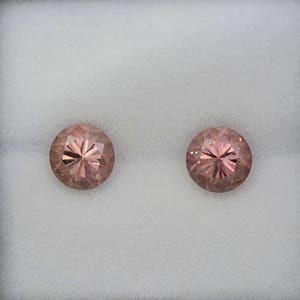 These will make a spectacular pair of earrings once set! Enjoy!